- Maximum conductor size : 30mm. - Display counts : 4,000. 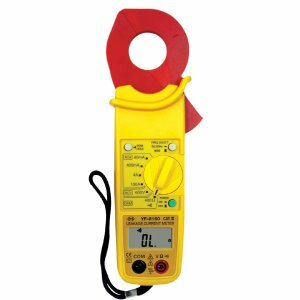 - Test ranges: ACV (600V), ACA (100A), Ohm, Continuity. - 3¾ digits LCD with maximum reading 4000. - Test ranges: ACV (600V), ACA (100A) , Ohm, Continuity. - Continuity test below 100Ohm will have buzzer sound. - Alternative for supply frequency. - With LPF (Low Pass Filter) function, 50/60Hz and wide frequency function (40~1KHz). - Dimension : 250mm x 85mm x 35mm.